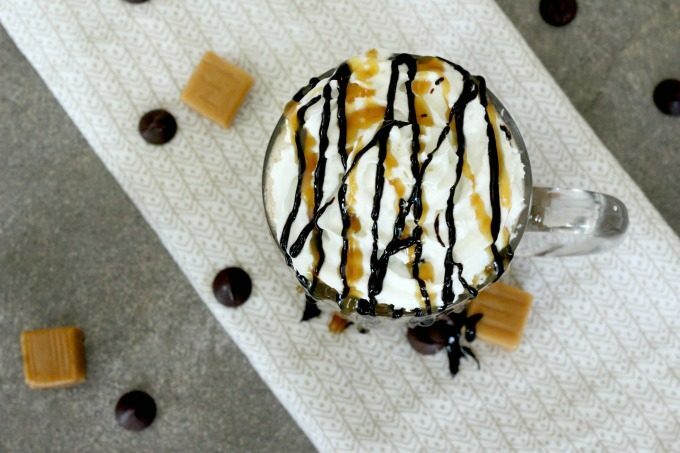 Make mornings worth getting up for with a delicious Dark Chocolate Caramel Latte! I am about as far from being a morning person as it gets. When I was a teenager, my parents struggled to get me out of bed in the morning. Then when I went away to college, I refused to take any classes that started before 10 o’clock. Eventually I became a teacher and didn’t have a choice. I thought I’d eventually get used to those early mornings but it never happened and that’s when coffee became my best friend! I’m no longer teaching but I still get up early to get my girls off to school, then launch into my workday. 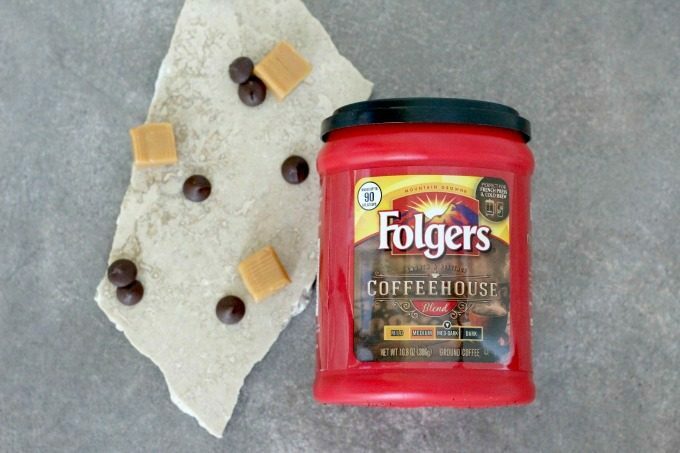 Thank goodness I have Folgers® Coffeehouse Blend to get my day started! One of the things that I love about this Medium-Dark roast is that it tastes great even before I add anything to it. It starts out smooth but finishes with a bold, distinct taste. 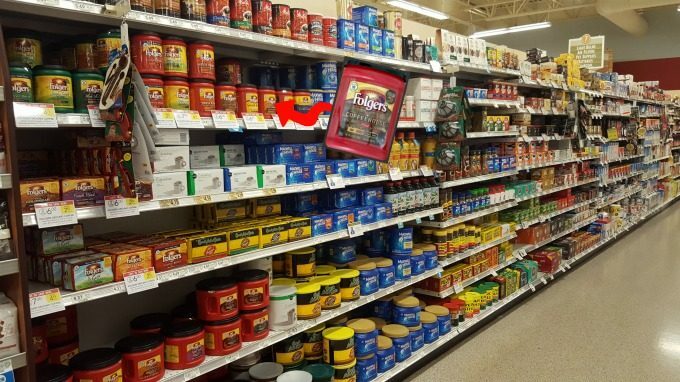 I find mine at Publix and if you shop now, you can use this digital coupon to take $1.00 off any Folgers coffee product (excluding instant). While I used to make my coffee in a French press, now I use my new coffee maker. I can brew it the traditional way but I can also do a cold brew or brew it over ice. Most days I don’t do anything fancy and I just drink my coffee with a splash of cream and sweetener. Every once in awhile, I decide to treat myself. 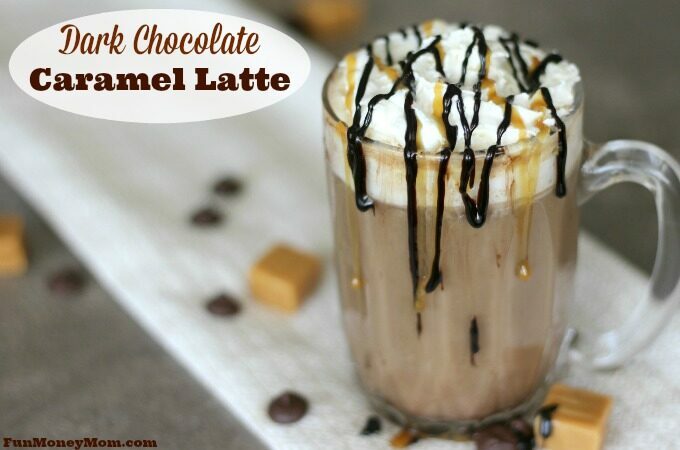 One of my favorite ways to do this is by starting my day with a Dark Chocolate Caramel Latte. How can you possible go wrong with anything that has chocolate and caramel as ingredients?! I really love how easy it is because I don’t usually have much extra time in the morning. Want to try it for yourself? 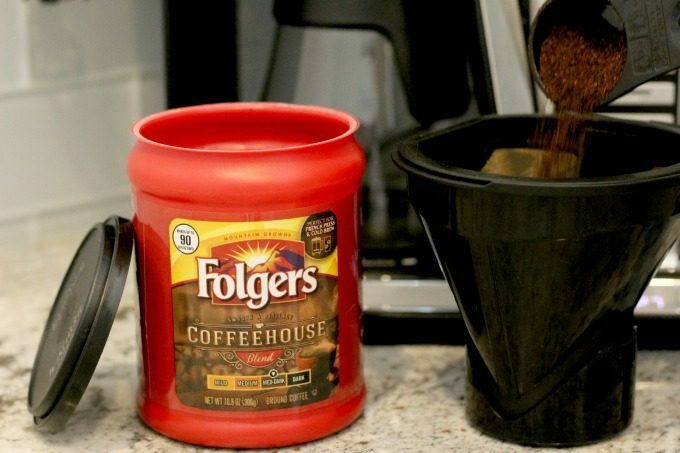 First, use your Folgers Coffeehouse Blend to make a regular cup, or pot, of coffee. 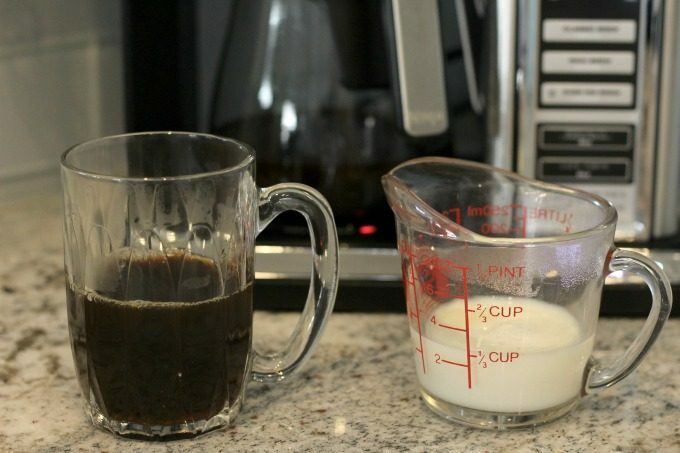 Pour 2/3 cup of coffee into a glass or mug, then measure out 1/3 cup of milk. 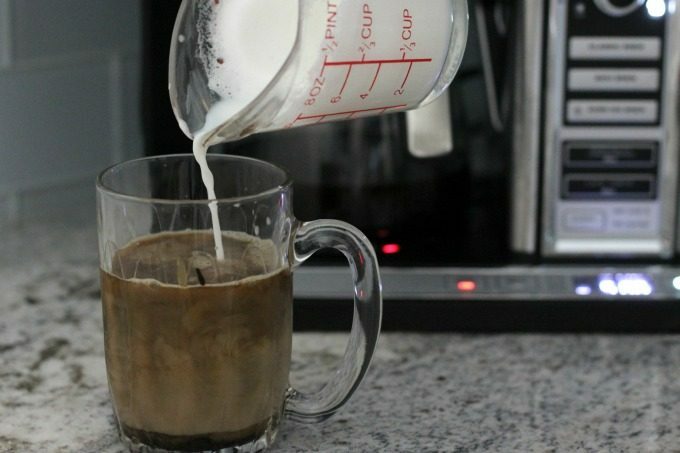 Microwave the milk for 30 seconds. 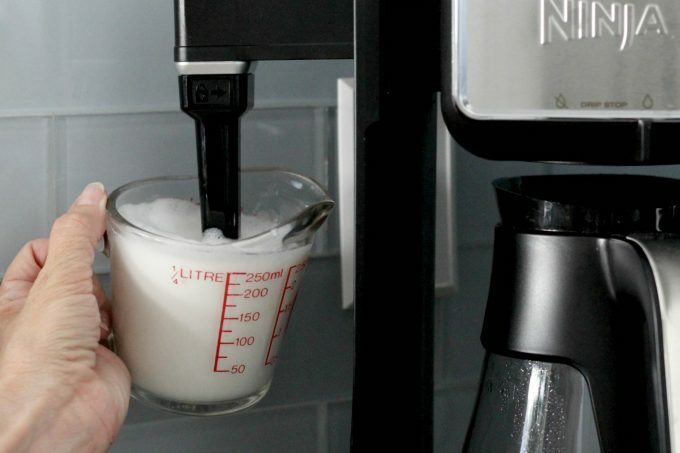 If you have a frother, you can use that, too. 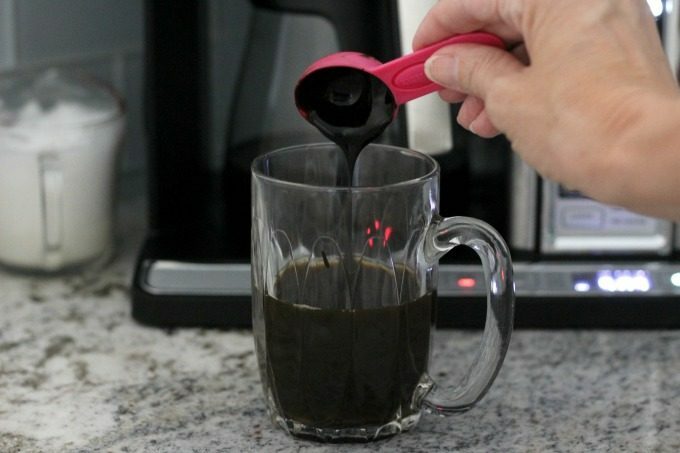 Add one tablespoon of dark chocolate syrup to the coffee. 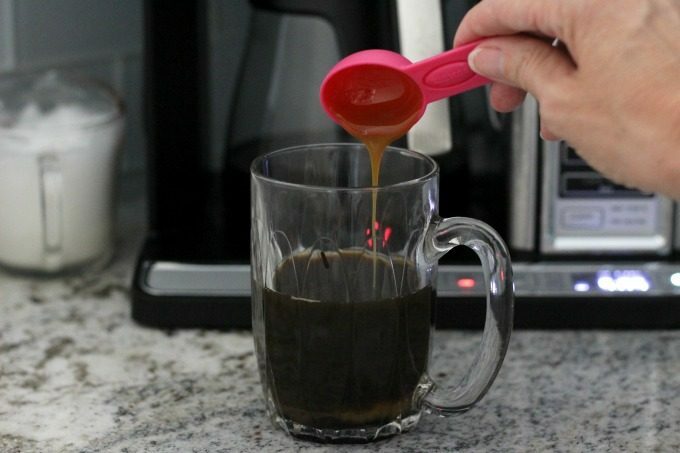 Next, add a tablespoon of caramel and stir until well blended. 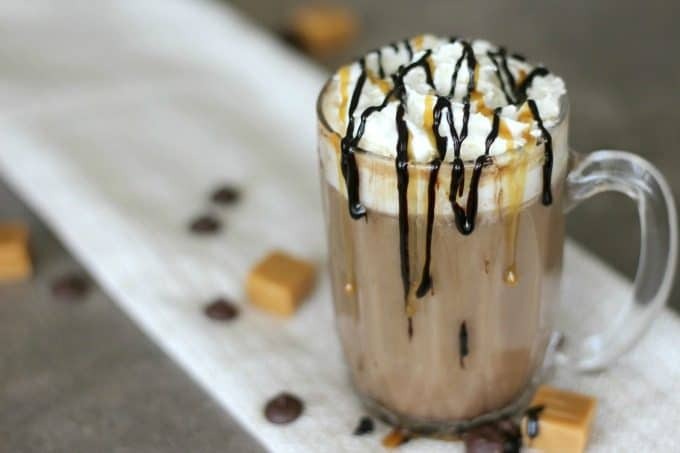 Top with whipped cream and drizzle with a little more chocolate and caramel. It’s almost too pretty to drink…but that’s never stopped me! 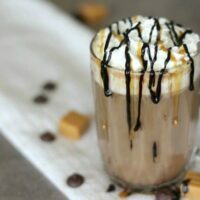 It doesn’t matter if it’s a fancy drink or just a traditional cup of coffee, I can’t live without my Folgers Coffeehouse Blend in the morning! Are you a morning person or a night owl? How do you get your mornings started off right? To find out more about Folgers products, check them out on Facebook and Twitter. Thanks! It has definitely become my new favorite coffee drink! This really looks good and I have all of the ingredients in my house! I may have to treat myself with this one day this week. I love that it has DARK chocolate! Yum!